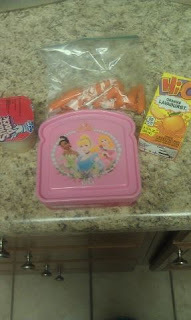 This is how I pack lunch for my kids. It seems that with each year I’m a parent another craze pops up. I’m just…look, I’m old school. 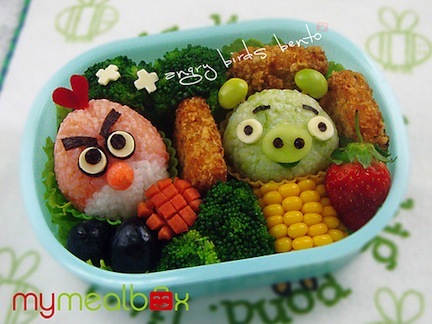 I don’t care if Bento lunches are in. There is nothing wrong with a regular sandwich with no face on it. But mine wouldn’t come out that neat, I assure you. 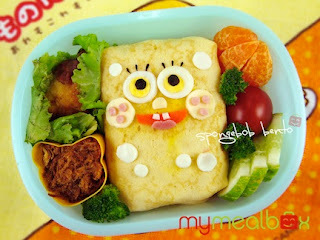 I don’t have the patience to do a Bento lunch. I barely have the patience to prepare the lunch I do make. It’s great if a parent wants to make an elaborate lunch. Who had time to put smiley faces on their food these days? There are too many blogs to read instead! I'm right there with you! I don't have the time or patience....or desire to spend time putting faces on food! My poor child and her boring lunches. Your lunches are just fine. Healthy and made with love. What more can be asked? Have your kids complained? Food looks fine to me. I hear ya! 90% of the stuff I would need to make those fancy lunches, my daughter wouldn't eay anyway. Sandwich, fruit, and a snack is good enough for us! Well I see nothing wrong with the way you pack the kids lunches and I'm sure they're none the wiser on the bento lunch. My son, who is a Senior this year, chooses to carry his sandwich on white bread, to school in a plastic Walmart grocery bag - oh nooooo what kind of parent would allow this? That would be me! If he doesn't care, why should I? Ha! Keep up the great work, mom!! Bella had lunch from home for two years. Sandwiches with homemade bread! Everyday! Every stinkin' day I baked bread!!! And all she wanted was the cruddy school lunch, like everyone else. So this year she got her wish! Yeah, that's just what I need to add in to our already crazy morning. A complicated artsy lunch that is expensive and that my kid wouldn't eat anyway. And we only have to be out by 8:30. When my son starts "real" school? I'm really going to explore eating lunch the night before and just giving him a couple 5 Hour Energy's. That's good parenting, right? My kids come home for lunch! I don't need to pack them! Isn't that fabulous? I see those fancy lunches all over pinterest and I'm all WTH?! Who DOES that? Dracen takes his lunch but the fanciest I'm able to pull off at 6:30 a.m. is to roll up some ham and cheese slices and stick some toothpicks in them. Works for him! Come on, now, you know you're not a good mom unless you put a smiley face on their sandwich! Yes, yes and yes! My kids buy lunch. And if they want something else, they need to make it themselves (hence the buying of the lunch!). There are so many blogs and then pinterest that to me just wants to make the rest of us feel lacking. There was a blog I was looking at the other day that actually did printables for 'happy first day of school' in their home made breakfast. Ugh! Fancy lunches are cute and all, but you won't be seeing any of those around my place either. Around here, we're lazy. That seems like a lot of time for a school lunch. I can see maybe making it for a birthday or a special lunch at home, but for school? Do kids even care if their lunch has a happy face on it? I know I didn't. I was always happy if my mom packed a cookie as a treat instead of something healthy. Those things CRACK ME UP. I mean...really? Who does that? LOL! My lunches look a lot like yours. People actually cut the bread with cookie cutters and make pretty pictures and stuff. I just don't have the time for that kind'a stuff.. or patience lol. Seriously? Who the heck has time for those sandwiches? 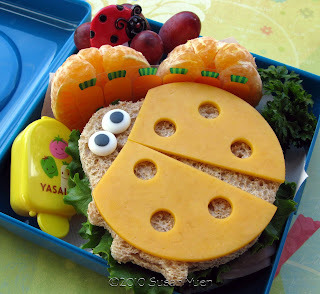 The most effort I would do is cut out the sandwich with a knife or cookie - cutter. I just bought one of elmo. Of course, this is for my GRANDDAUGHTER. My kids never got something like that! Oh my gosh.... you have to be kidding! You don't do the fancy lunches?? I wouldn't either! How much of those fancy lunches end up in the trash anyway?? Girllll I am with you! My son is only in preschool, but parents provide the snack for the class once a month. I'm all butter crackers while some other mom is making butterflies out of carrot sticks. Yikes! I'm half asleep when I pack lunches in the morning, there is no way I would ever do something like that. Now, how would anyone have time for that kind of ridiculousness. I am convinced that no real people actually do it. Those must be made by people without kids who don't have to do any chores. And they just post them to try to make the rest of us feel bad. But the jokes on them. I am too tired to care what my food looks like as long as its edible. Honestly, the kids just want to dive in to eat lunch. I don't think they admire or appreciate the efforts the way we all might. I work in a lunchroom as a guard, helping students with their lunches, following rules,etc...I see them picking those lunches apart of all the things they don't "FEEL' like eating that day. now that my daughter is in JK, coming up with interesting lunches are now part of my daily struggle. Haha - I don't get it. If you put the cheese on the outside of the sandwich & peeled the fruit just to make it look cutesy - the cheese & fruit would be dry & gross by lunchtime. I'll take a plain yummy sandwich over a crusty cute sandwich any day!